Portable electrical vehicles are all the rage these days. People are getting lazier and lazier, so they don’t want to walk from place to place, they want to ride something, something that will do the work for them. First came Segways now self balancing unicycles and boards. Well Japan has just one-upped us once again. They bring the world the WalkCar. Its a flat board, with 4 motor powered wheels. No need for stabilisation and is powerful enough to go up hills and push loads. This device is without a doubt going to be very useful for a variety of tasks, however it raises an interesting question: when will convenience start making our life worse and not better. To iterate, sure it may be very convenient to ride this device up hills and when pushing loads, but what is stopping people from using it all the time everywhere. 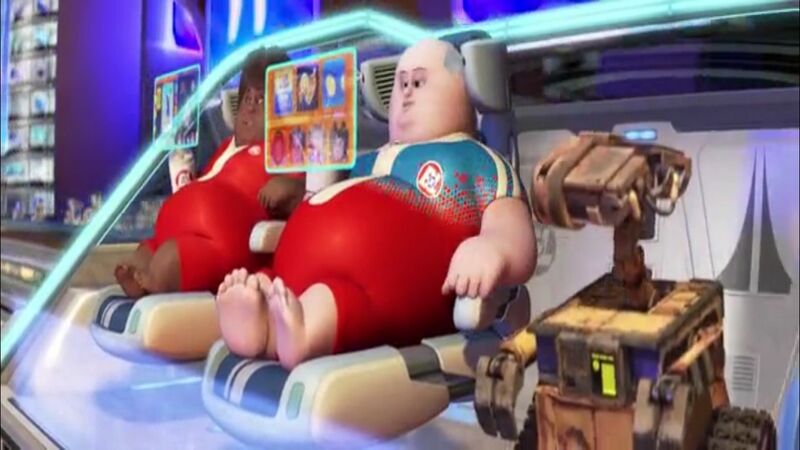 And if we do, won’t we slowly transform into those fat and lazy human blobs that we saw in WALL-E? There is no end to human laziness, and eventually our ingenuity and strive for convenience will be our downfall. Think about that before using one of these boards on a regular basis.